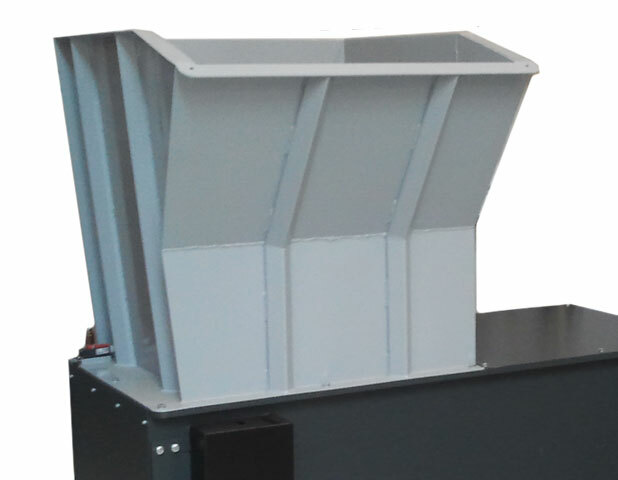 Our SHARK 123 shredding machine is traditionally used for shredding wood residues. 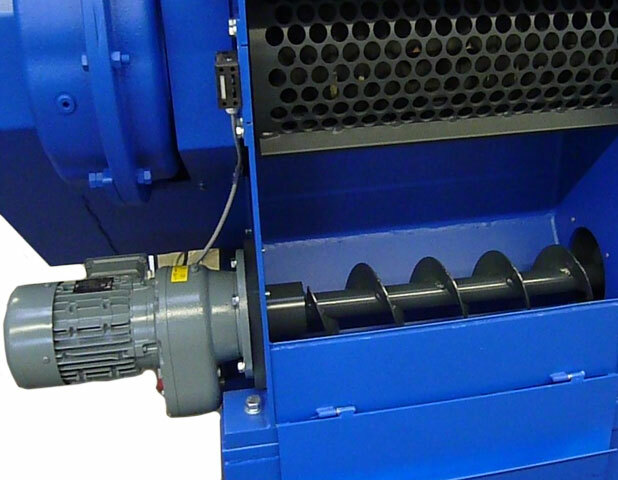 In addition to the production residues of the wood industry all kinds of waste material can be shredded with this machine included but not limited to cardboard, paper, plastics, cables and much more. 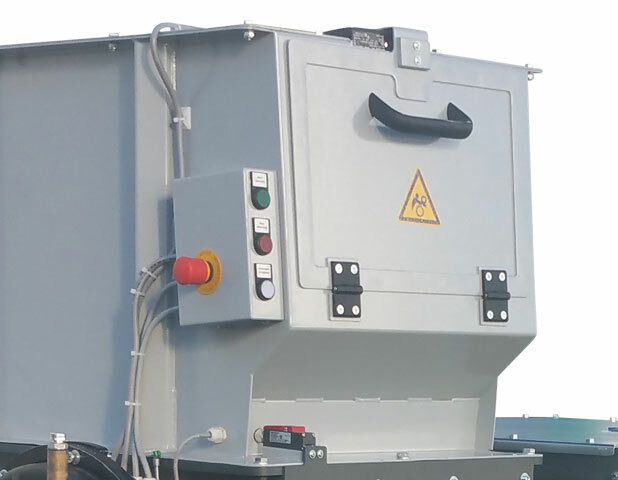 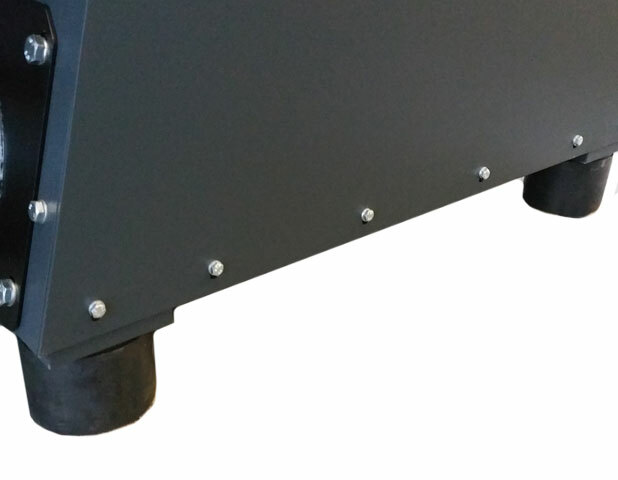 Our SHARK 123 is built with a working width of 120 cm and designed in the standard configuration with a 37 kW electric motor. 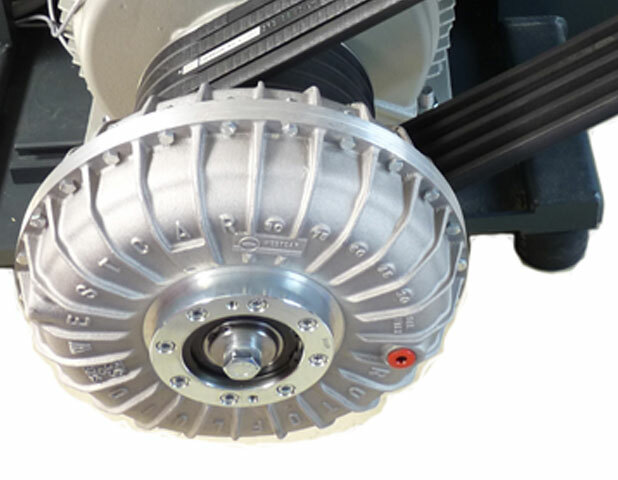 The rotor diameter is 368 mm. 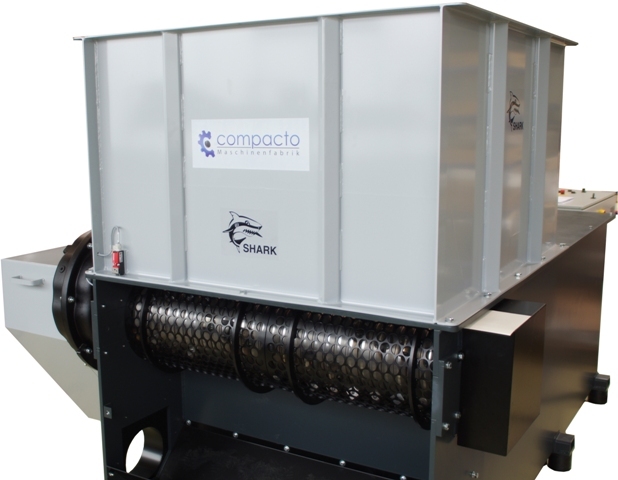 The material to be shredded is filled into the hopper of the SHARK shredding machine. 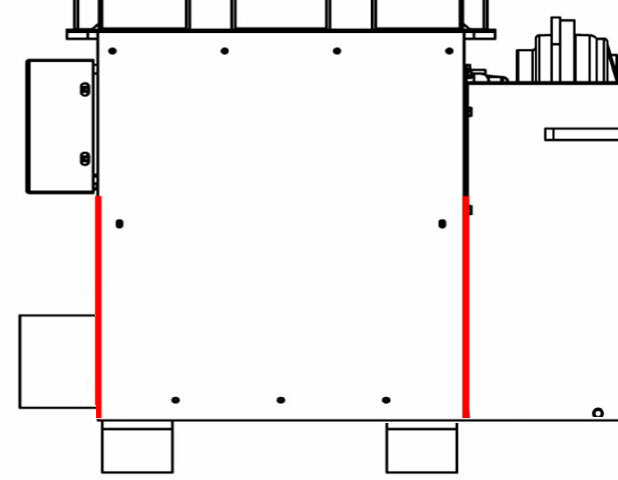 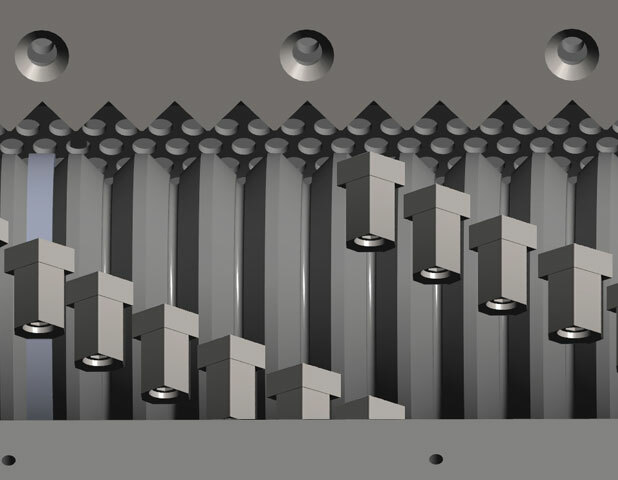 To prevent bridging in the hopper, the material residues should optimally not be larger than the working width of the machine. 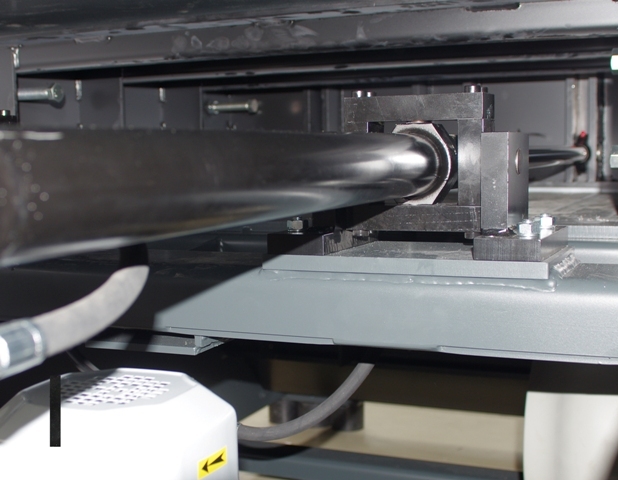 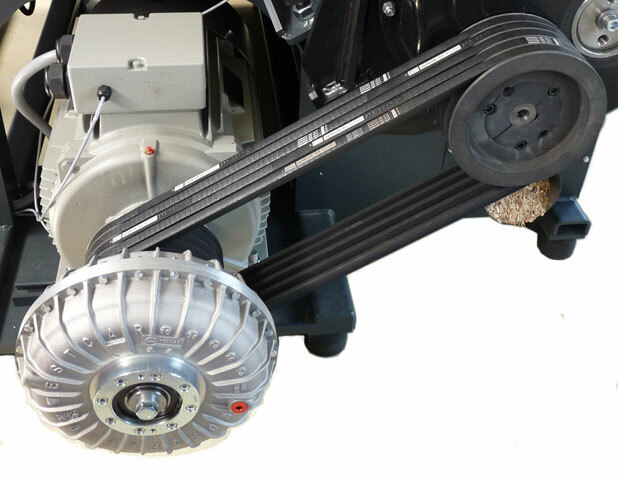 A hydraulic slide presses the material against a slowly rotating cutting rotor equipped with cutting tips. 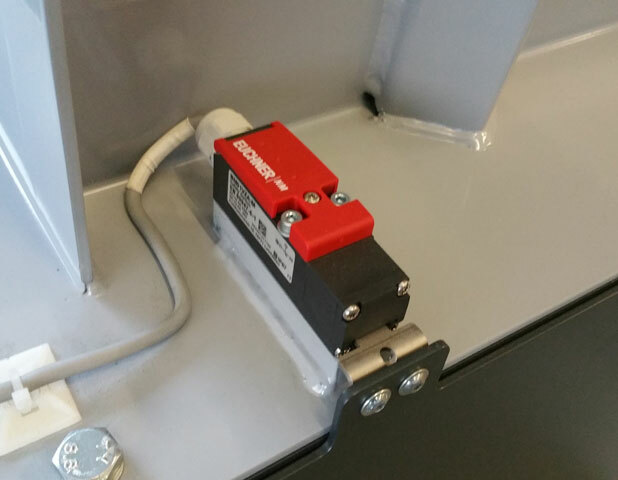 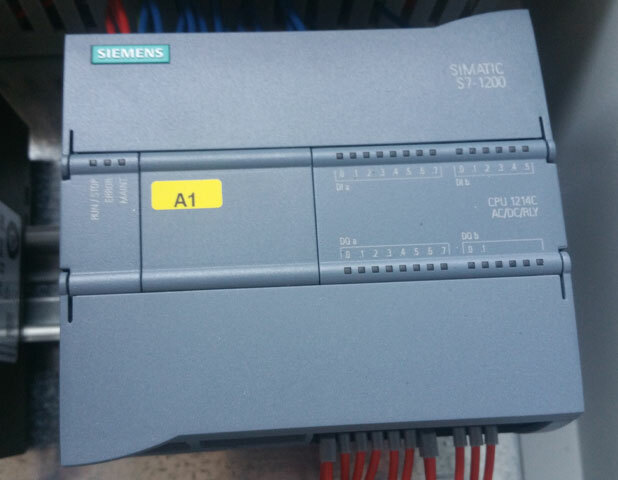 The current consumption of the rotor is monitored by a Siemens PLC control. 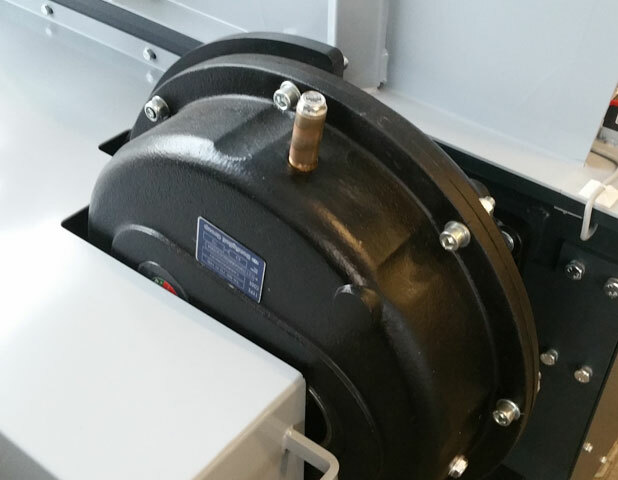 The slide is clock-controlled and always works with the maximum possible pressure, depending on the current consumption of the rotor. 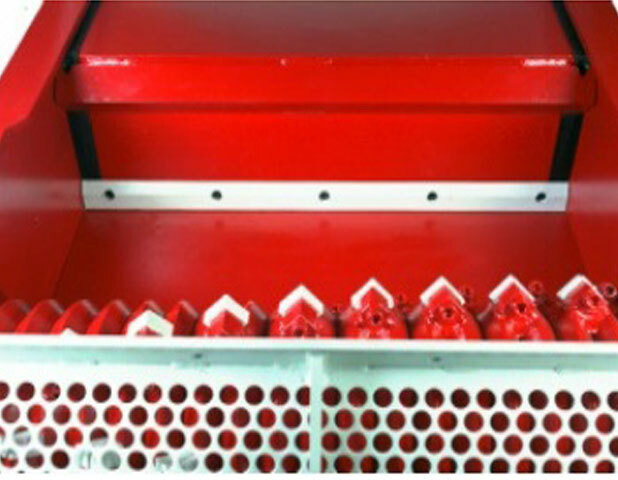 Thus, the machine always produces the maximum throughput, no matter what material is supplied. 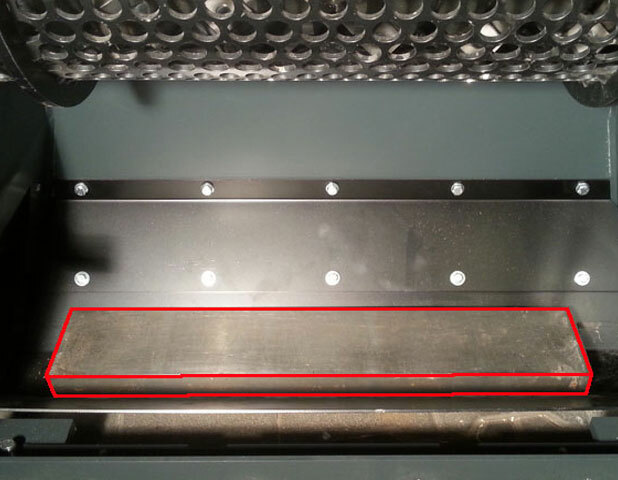 The shredding of the material takes place between the knives and the counter knife. 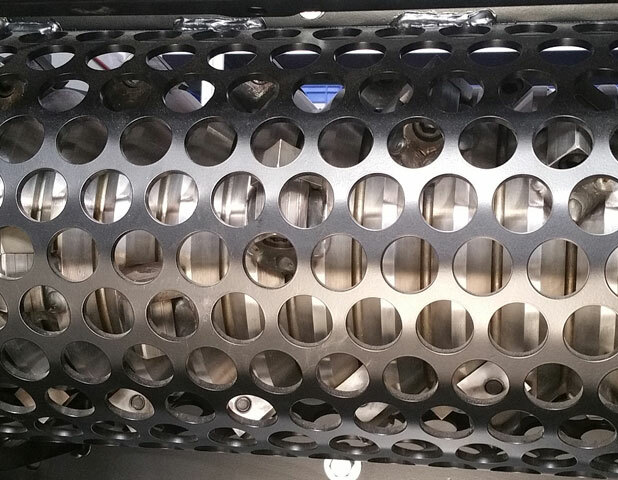 Behind the cutting rotor a sieve is mounted. 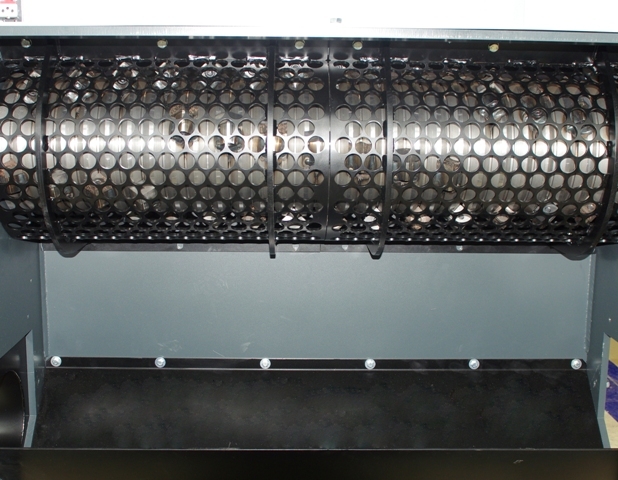 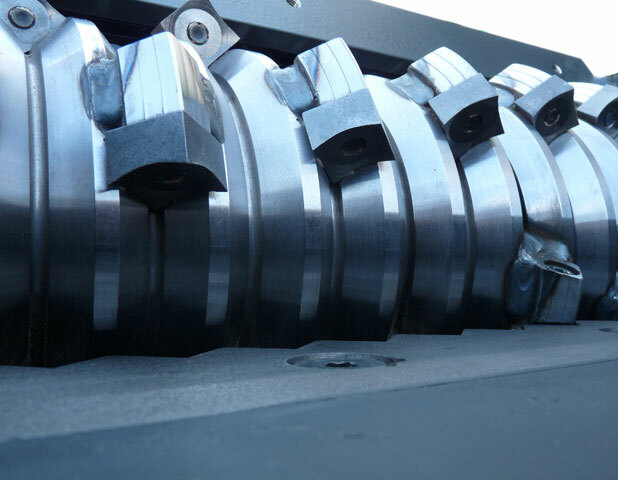 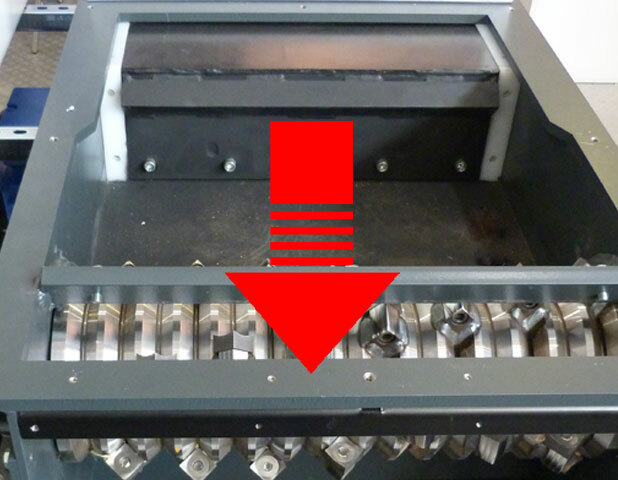 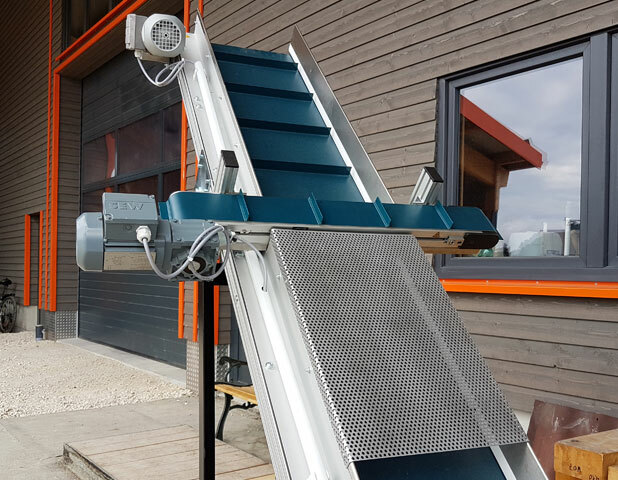 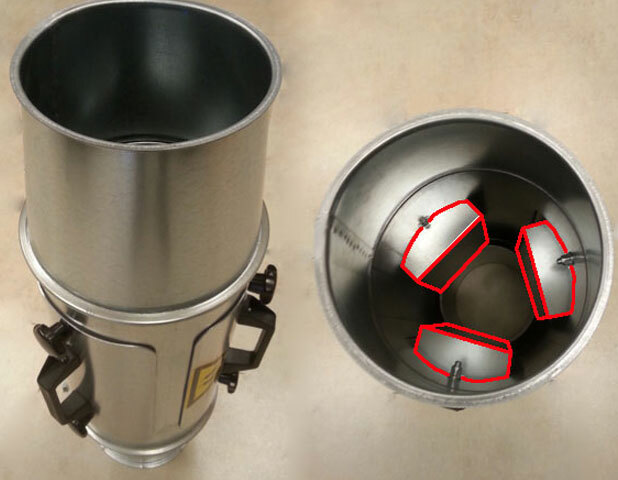 As soon as the shredded material fits through the perforation of the sieve, it falls into the chip channel and can be removed by suction, conveyor belt or screw conveyor. 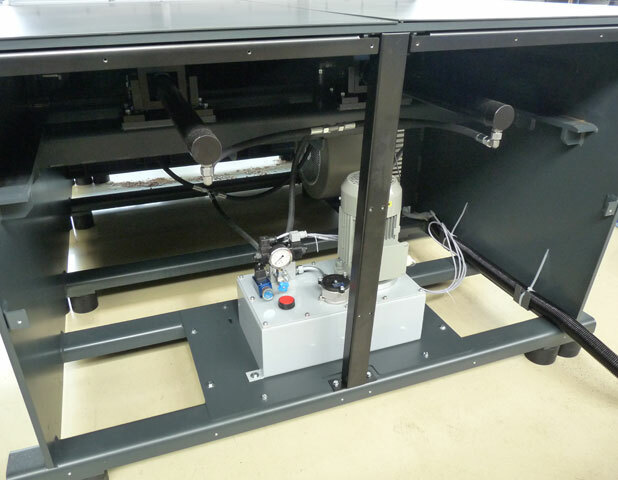 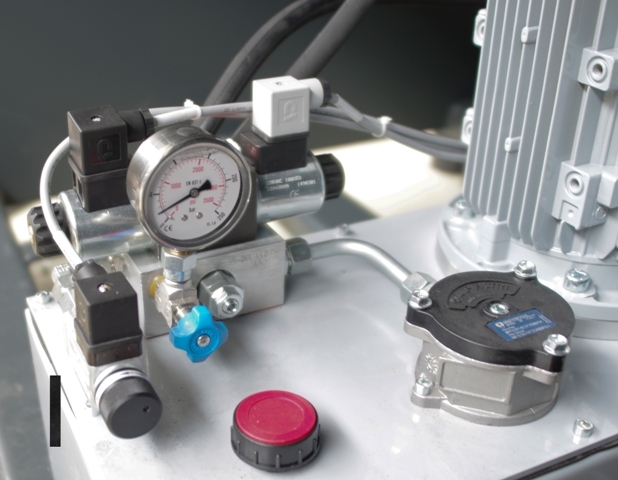 The machine can be operated in manual or automatic mode. 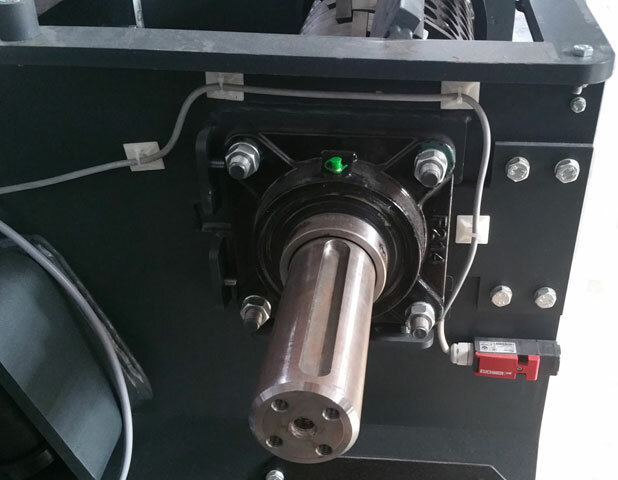 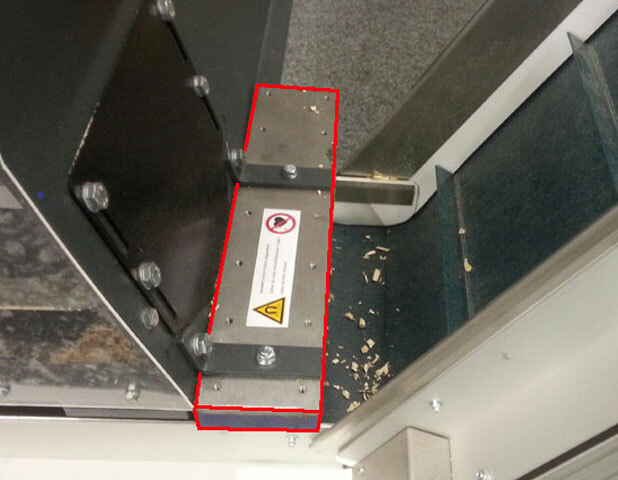 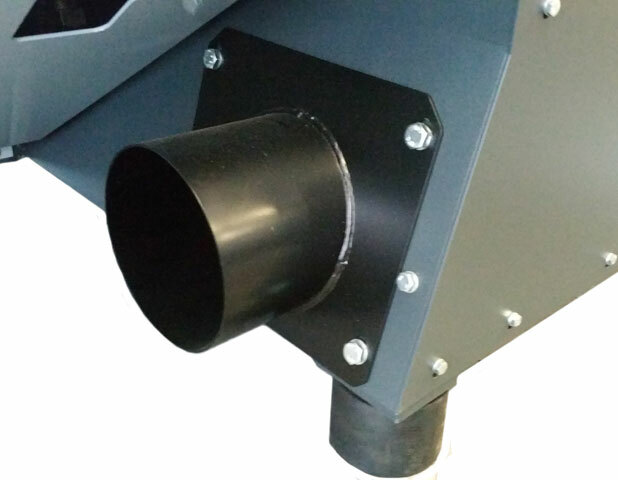 In automatic mode, the machine switches off automatically when there is no material left in the hopper.